Individual landowners and developers who are planning a construction project that will alter a wetland, stream, or other water bodies, or who wish to avoid having an impact to those areas may need assistance to identify them and to meet the requirements of the Clean Water Act (CWA) and similar state or local ordinances. Mill Creek Environmental has assisted clients in the identification of state waters, stream buffers, and wetlands on a variety of projects, has helped clients obtain stream buffer variances when buffer encroachments were necessary, and has provided pre and post development water quality assessments to document that construction activities have not impacted nearby waterways. 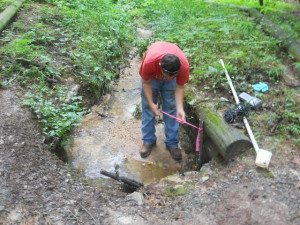 These services are frequently provided concurrently with the erosion control planning and stormwater monitoring and permitting services we offer. A wetland is an area where the land is saturated with water, either permanently or seasonally. Although the ground surface may not always be wet, the presence of water close to the surface creates characteristic soils and vegetation that distinguish it as a distinct ecosystem. 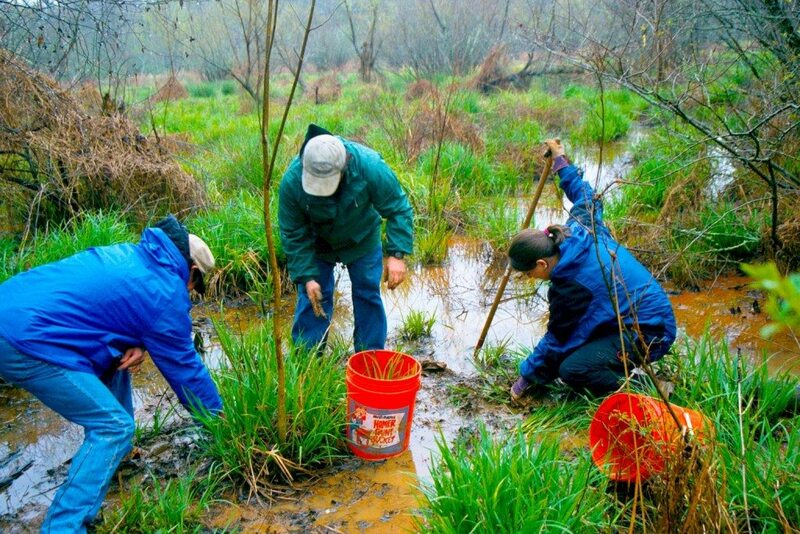 What does a wetland delineation project involve? First, one of our staff scientists or biologists will conduct a desktop review and complete a site visit to gather field information about the topography, soils and vegetation in the project area. From this, a determination can be made as to whether any wetlands are present. If wetland characteristics are present in an area, the boundary of the wetland area will be determined and then marked with stakes or flagging. The wetland boundary can then be surveyed and incorporated into a wetland delineation map or added to an existing site plan as needed. Finally, a Wetland Delineation Report will be produced to document these activities. This report summarizes the site, the scientific field data, the wetland and its rating, and includes a detailed site map of the existing and proposed development along with the wetland areas and their associated buffers. What qualifies as “State Waters”? Some basic information about State Waters can be found here. Do dry creeks require a buffer? If the creek is determined to be an “intermittent” stream, buffer requirements apply. In other cases, streams classified as “ephemeral” freshwater wetlands, and marshes do not require a buffer or may be eligible for a variance to the rules. What are the stream buffer requirements in Georgia? State law requires a minimum 25-foot buffer between state waters and land disturbing activities in warm-water fisheries and a 50-foot buffer for trout streams. The law also allows local authorities to adopt more stringent requirements. Is it possible to get a variance from the stream buffer requirements? Yes. There are eleven criteria for which a stream buffer variance may be considered. We are your wetland and stream consultant with practical solutions. We have completed many wetland delineation and stream restoration projects for landowners and developers. We take pride in the fact that we can offer quality service for a very competitive price.